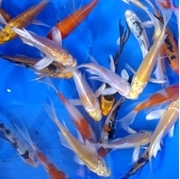 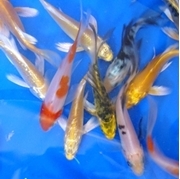 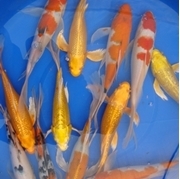 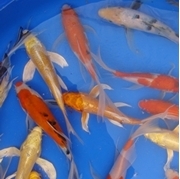 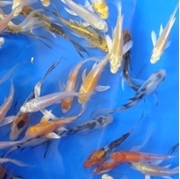 Butterfly Koi, also known as Dragon Carp, are a type of high grade ornamental fish notable for their elongated finnage. 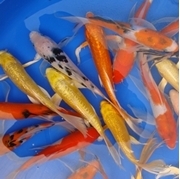 Pondliner.com's select quality Butterfly Koi are bred to have recognizable colors and patterns that allow easy identification of variety. 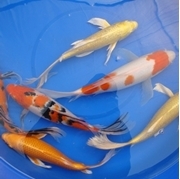 Goldfish and Butterfly Koi are shipped on Tuesdays to arrive directly at your door on the following day. 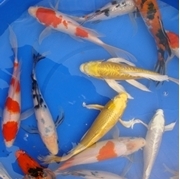 Orders must be placed the previous Tuesday to allow for proper quarantine and preparation for transportation.